Welcome to the Golden Pond Grotto web site. Based in Western Kentucky, the GPG is dedicated to the conscientious exploration and conservation of Kentucky's vast underground wilderness of caves. We are a not for profit organization actively involved in many cave related projects and activities. 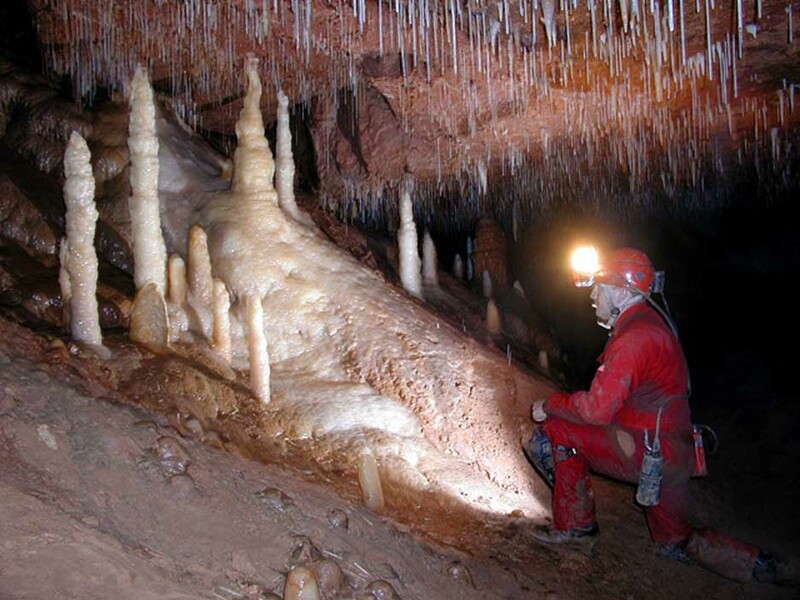 Caving is a demanding and sometimes dangerous activity, and our hallmark is to cave softly as well as safely! We invite you to join us on a cave trip, or to simply browse through the following pages, and enjoy the unique realm of caves. All of the images and content of these pages are © Copyright 1996-1999 Christopher Anderson and the Golden Pond Grotto, unless otherwise noted. United States and new International Copyright treaty. For additional information contact the Webmaster. See also disclaimer. Image of Chris Anderson in Woodard Cave, TN © 2001 Chris Anderson/Curtis Beasley.